No yarn? No problem! (Like any knitter or crocheter is ever going to run out of yarn!) Just grab your knitting needles (in this case I used a Pocket Knitter) or crochet hook and some scrap fleece you have hanging around. 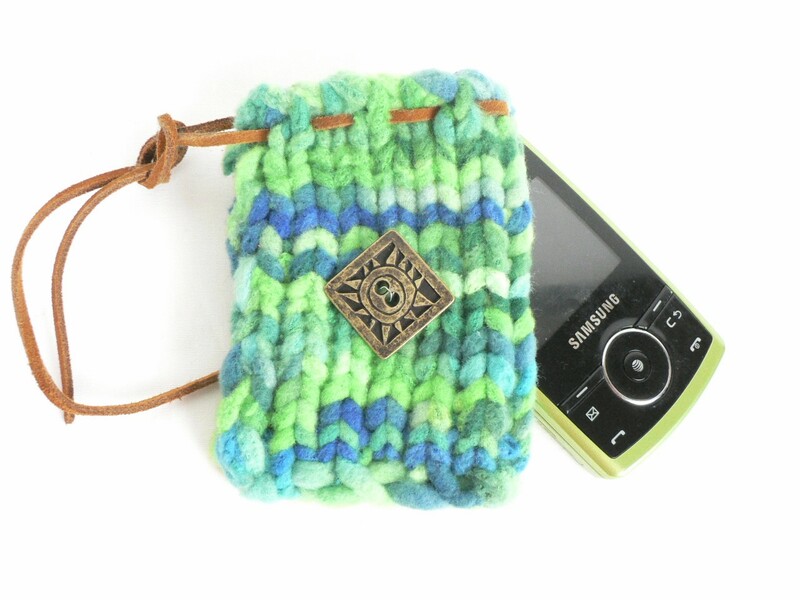 I made this cell phone holder using the Pocket Knitter and a remnant strips of fleece that I purchased at my local craft store. The great thing about this project is that is looks kind of felted, only without the extra effort involved. 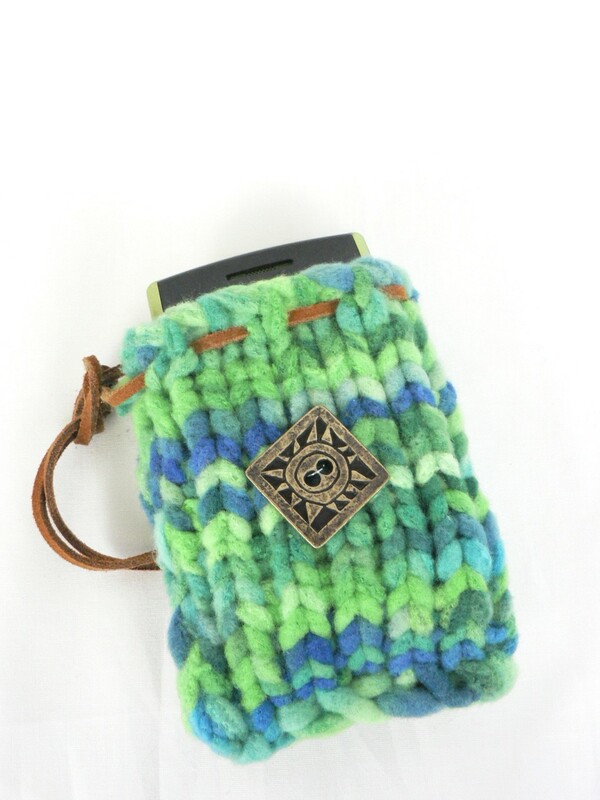 The fleece worked perfect on the Pocket Knitter and created a thick protective cover for a cell phone. This would be terrific for making a protective case for any hand held device. If you’re not familiar with the pocket knitter, no knitting knowledge or experience is required. If you are interested in learning more about the pocket knitter, you can visit the Bond America site here: http://www.bond-america.com/products/pocket_knitter.html . I have seen the pocket knitters for sale at my local JoAnn’s store with the knit and crochet tools. Cut your fleece the long way in strips about ½” wide. Give each strip a pull or gentle tug. This will cause the fleece to curl. Using the fleece strips, cast on 14 stitches. Work in St st until piece measures approximately 4.5” or desired height of finished cell phone holder. Fold work in half. Using a strip of fleece and the yarn needle, sew the side and bottom closed, leaving the top open. Weave your cord in and out between every other row all the way around the top until you have reached your beginning point. Tie knot in desired spot. Sew on button in desired location. Note: This blog post is adapted from my previous blog post for the NaturallyCaron.com blog. The NaturallyCaron.com blog has been deleted, so I am sharing the post here so that I may continue to share my patterns with readers. 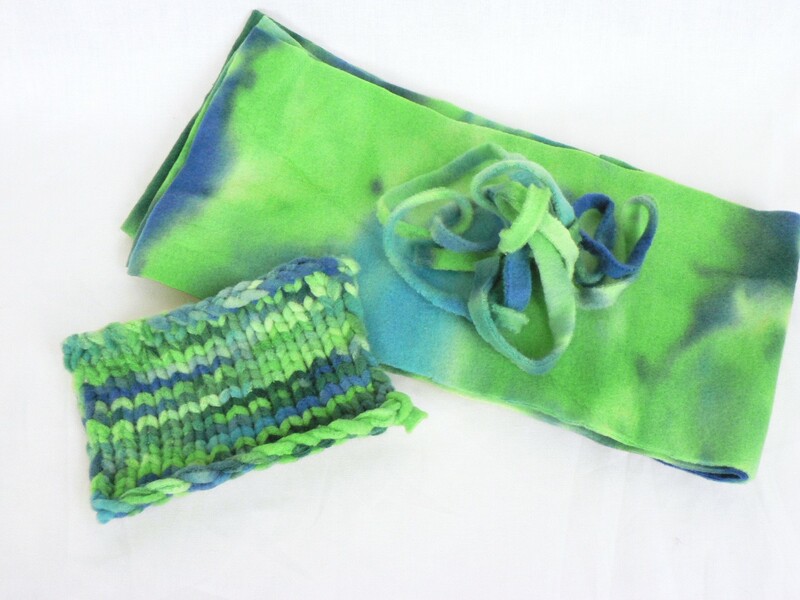 This entry was posted in Crochet, General Crafts and tagged Bond America, cell phone holder, felting, knit, NaturallyCaron blog, pocket knitter.